Our neo-natal audiologists conduct hearing tests for infants by using a technique called Transient Evoked Otoacoustic Emissions (OAE). 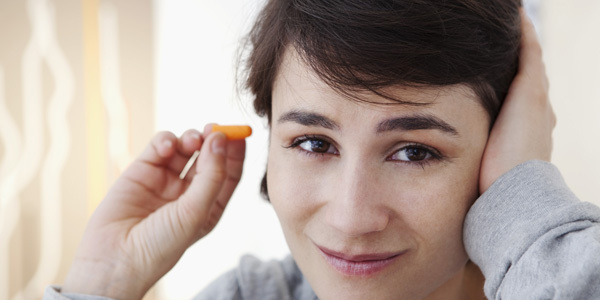 Don’t be put off by the hi-tech sounding name – OAEs are a quick and painless test of the inner ear’s response to sound. 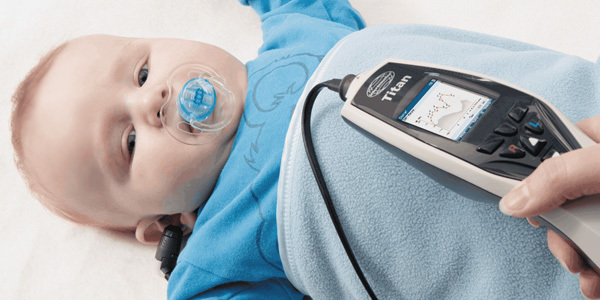 How do OAE hearing tests for infants work? As you can see from the above picture, we simply place a small instrument just within the baby’s ear. 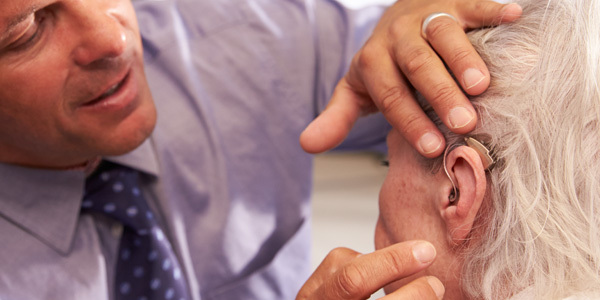 The equipment plays certain sounds and tones whilst measuring the ear’s response to the activity. We then receive the diagnostic in real time, ready for our analysis. The test provides a reliable indication of whether there is sufficient hearing for normal speech and language development.